The Burberry fall/winter 2012 ad campaign celebrates Britishness, London and the Burberry heritage of weather protection in the brand's most cinematic shoot to date. 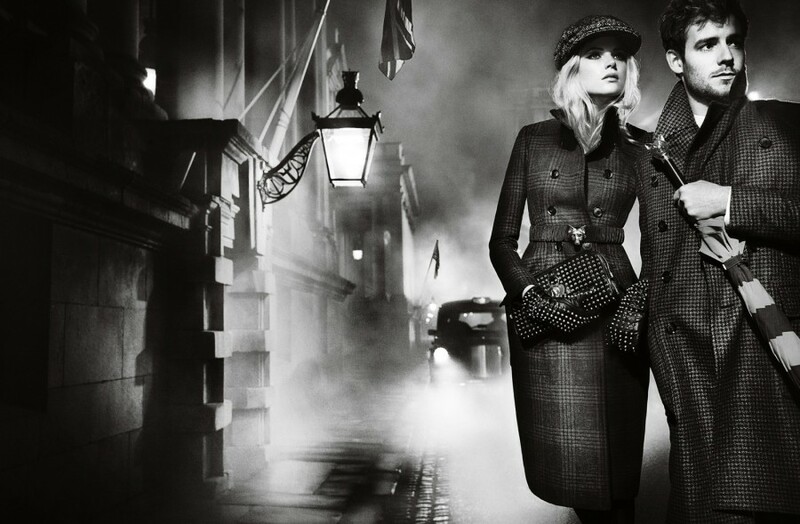 The campaign was shot at night by Mario Testino under the creative direction of Christopher Bailey at the iconic Old Royal Naval College in Greenwich London. It features black and white cinematic multimedia content including images and short films which will be revealed across the brand's online and offline platforms throughout the season. 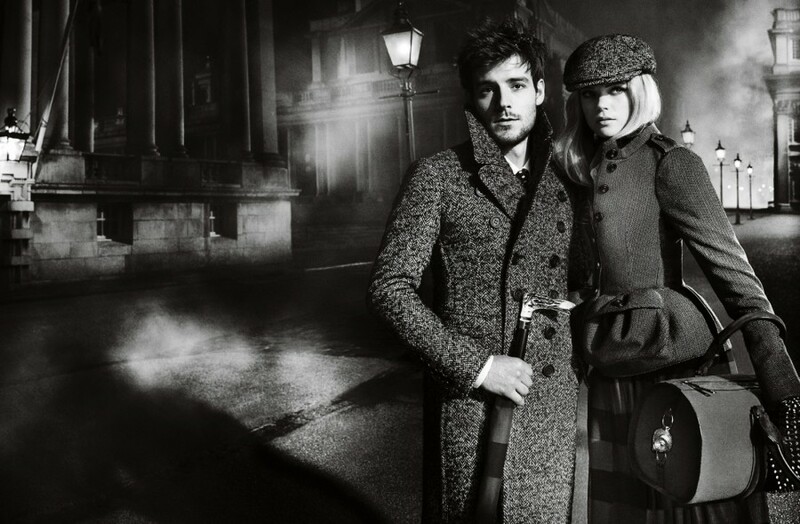 The campaign features British actress Gabriella Wilde and musician Roo Panes. An innovative digital experience will allow visitors to explore and purchase from the campaign through short films, imagery and music, bringing the campaign and collections to life every month. It's a continuation of the brand’s Runway to Reality concept, for the first time consumers will be able to buy the Autumn/Winter 2012 collection directly through the campaign gallery on Burberry.com. Introducing the Autumn Winter Burberry Prorsum, London and Brit collections, the campaign highlights men’s and women’s iconic outerwear, which is at the heart of all Burberry collections. Roo Panes wrote and recorded “Indigo Home” exclusively for Burberry at RAK Studios in London, which will be released as the official soundtrack to the campaign and is available globally on iTunes.